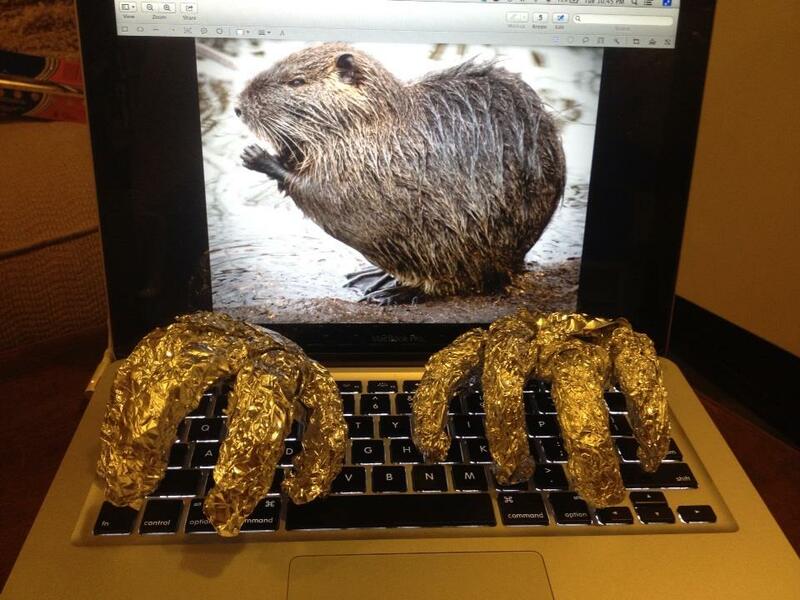 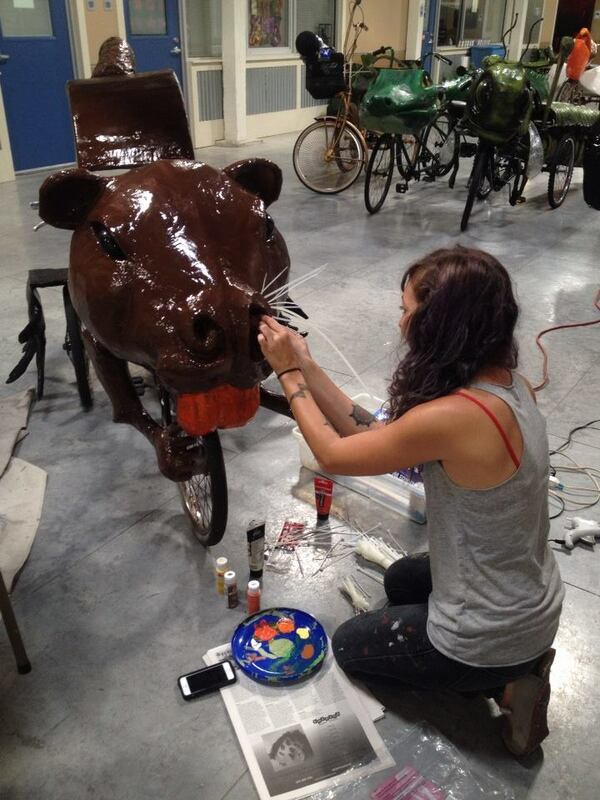 Artist Allison Hilder glues zip-ties as the nutria's whiskers. 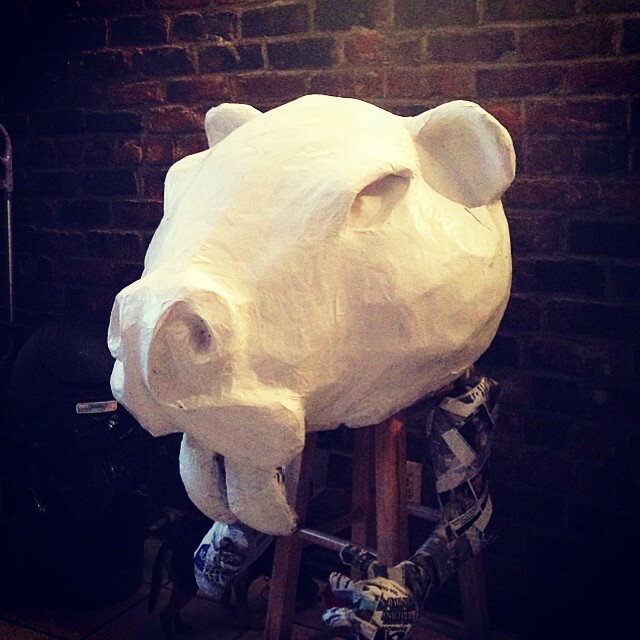 Paper mache is a traditional art form of Carnival. 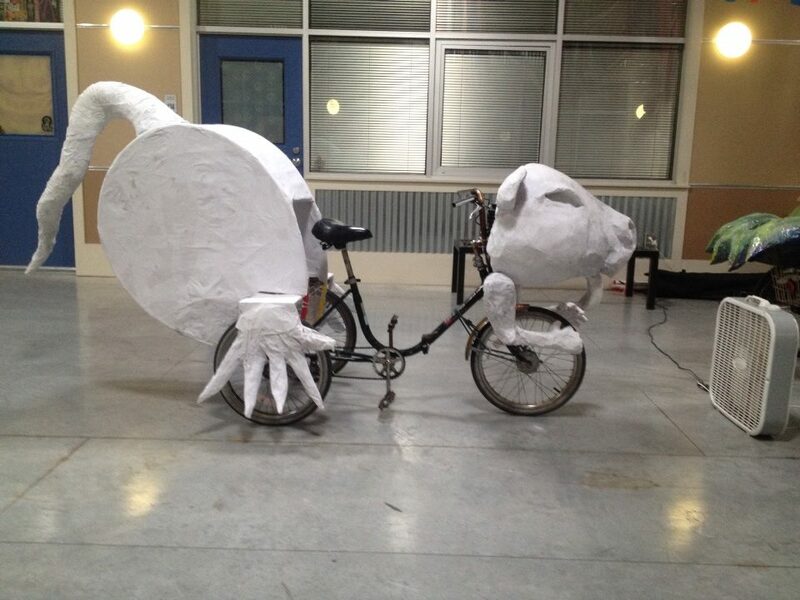 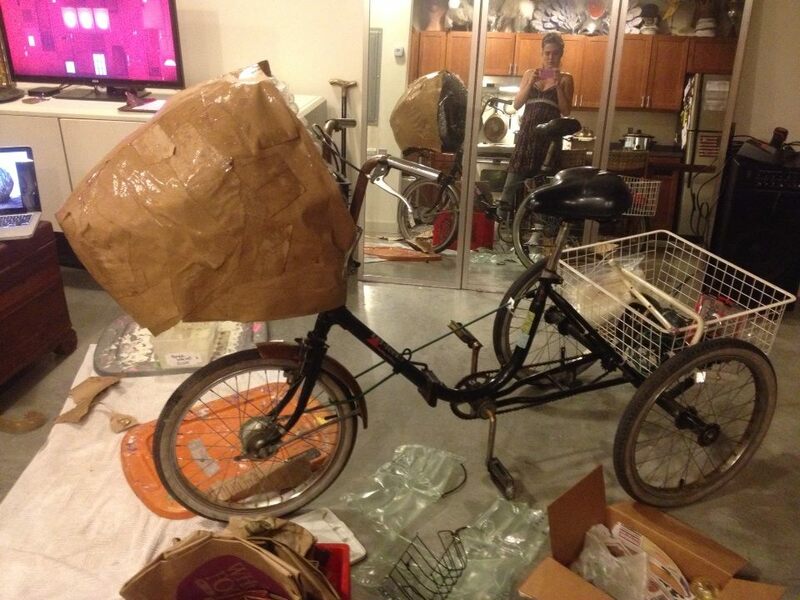 Nutria Art bike takes shape after weeks of sculpting paper mache. 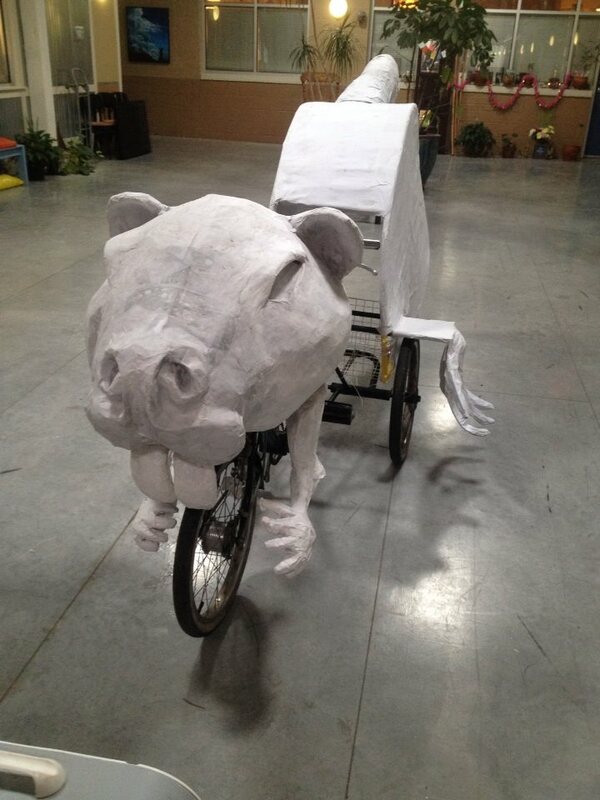 Paper mache nutria art bike taking shape by the Krewe of Kolossos. 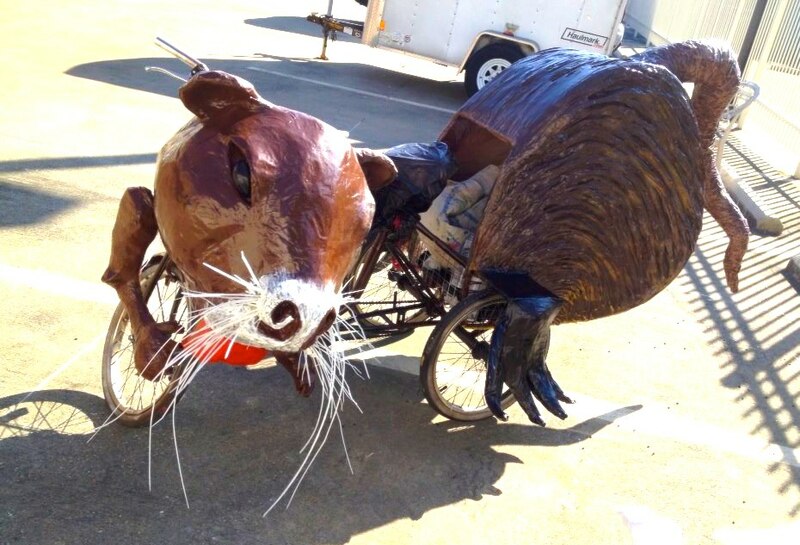 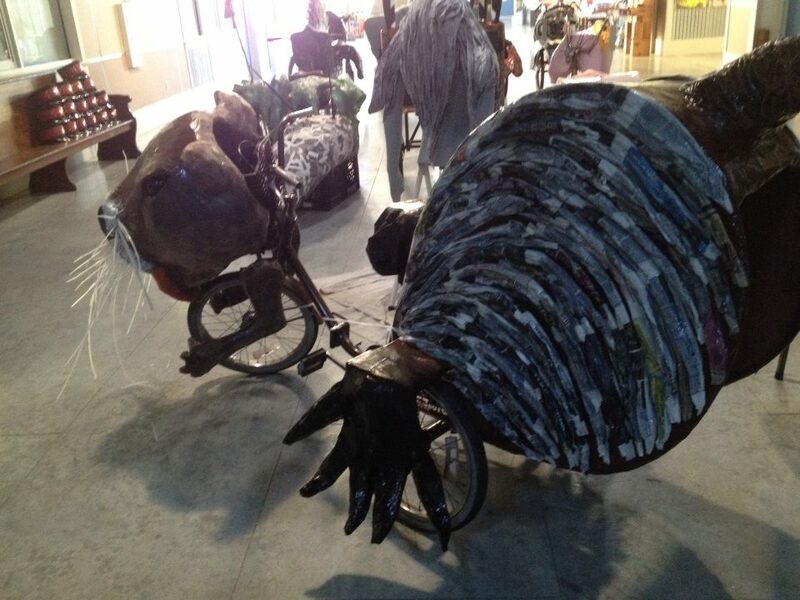 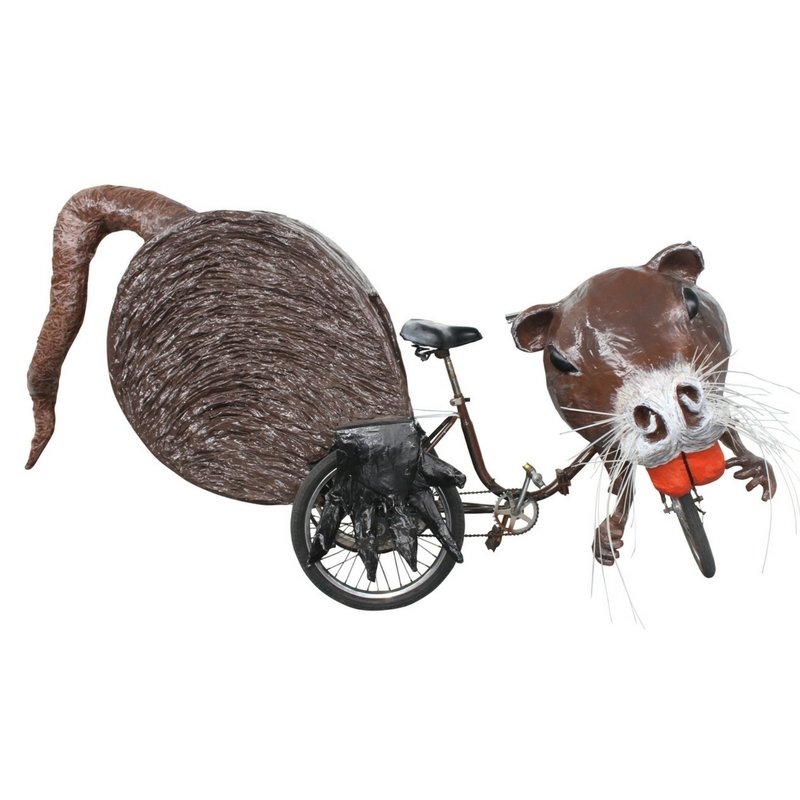 Art Bike Biography: Named for Napoleon Bonaparte, this nutria themed tricycle is made from recycled materials including paper mache, metal and hula hoops.